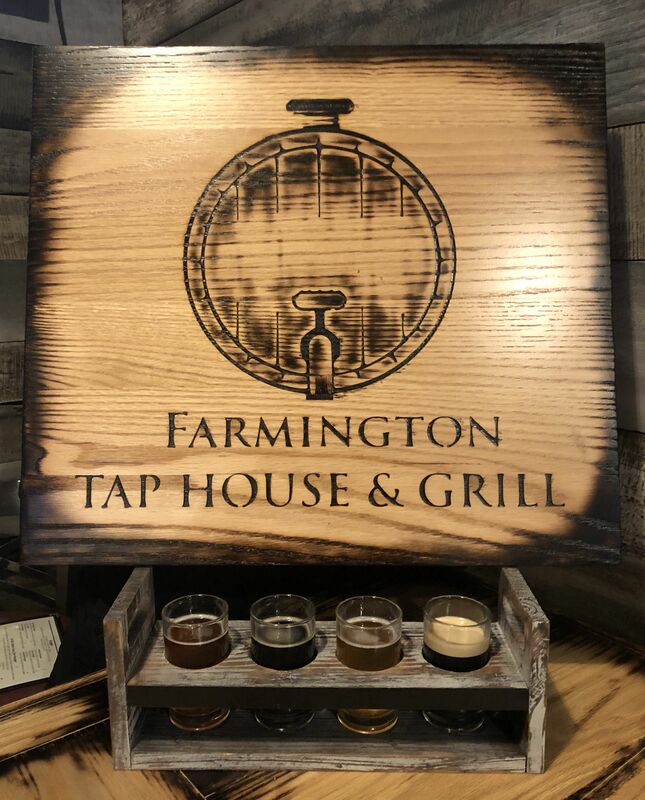 Farmington Tap House & Grill was established in 2018! Owner, Kenny LaBeau, also owns Longbranch Saloon & Eatery, the sister restaurant next door; has been in the restaurant industry for more than 40 years. Kenny opened Gossips Bar & Grill in 2002 in the same space that Farmington Tap House & Grill now occupies. Farmington Tap House & Grill was opened to offer the community of Farmington something different. We offer a warm family friendly enviornment where good food and awesome customer service is our #1 concern. Choose from one of our 22 tap line selections of beer and cider. Try out a flight of beer or ciders which includes 4- 5 oz glasses of any tap selection of your choice. Hungry? Try any of our mouthwatering homemade food options from hot hoagies, wraps, burgers, pizza or one of our delicious starters. Finish off your meal with one of our dessert chimichangas, choose from apple or cherry! We also host special events from paint nights, wood working to meat raffles and bingo. Something fun for people of all ages. We welcome you to come see what all the talk is about. Come in as our guest and stay as our friend.